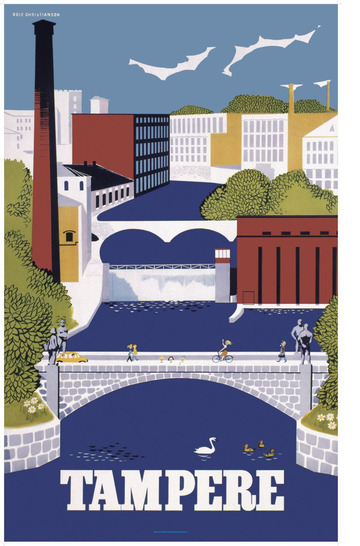 In the mid-1950s the city of Tampere wished to find new visual ways of promoting the town. In other words, it was time to organise a poster competition. 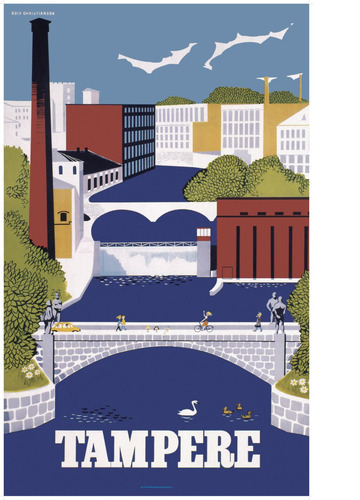 64 entries were sent in, and in joint second place came this happy poster by Rolf Christianson.